Groin pain can occur suddenly or may develop gradually over time. The most common cause of acute groin pain (sudden onset) is a groin strain. Gradual onset or chronic groin pain may have many causes including tendon inflammation, hernia or Gilmore’s groin. 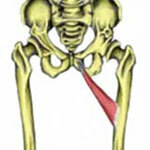 A groin strain is a tear or rupture to any of the adductor muscles on the inside of the thigh. Symptoms include sudden sharp pain in the thigh which can range from a quite mild niggling injury to very severe injuries that are completely debilitating. Explosive movements and changing direction quickly can cause groin pain, especially if you haven’t warmed up properly and have tight adductor muscles. Read more on groin strain. 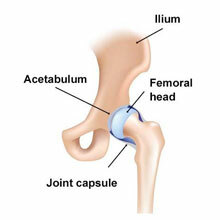 A pelvic fracture is a break of any part of the pelvis. Symptoms will vary greatly depending on the severity or type of fracture and any complications involved. Symptoms of more substantial fractures may include instant pain on impact or at the time of trauma. Bruising may develop within 48 hours and usually much quicker. 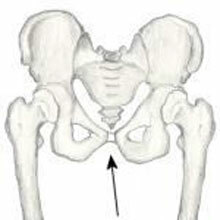 Read more on Pelvic fractures. Chronic groin pain: Gradual onset pain in the groin area occurs over a period of time where the athlete may not be able to identify a specific time the injury occurred. 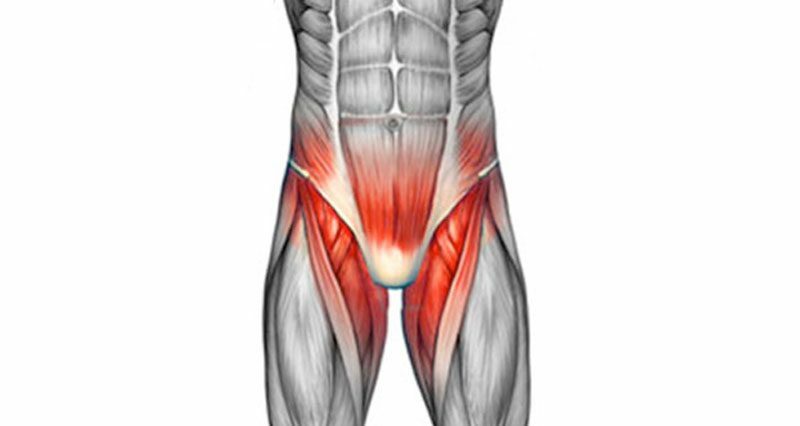 The adductor muscles can become inflamed through overuse or following injury resulting in pain and stiffness at the top of the groin. Groin pain can travel down the leg and make it difficult to run. Overuse or previous injury can make the tendons that attach the muscles to the bone inflamed. Read more on the causes, symptoms, and treatment of groin inflammation. Read more on adductor muscle inflammation. 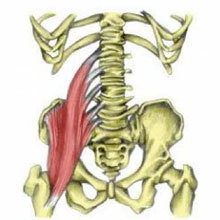 The iliopsoas muscle is a powerful hip flexor used to bring the knee up at speed when running. Inflammation of the tendon or the bursa (small sack of fluid) can cause gradual onset pain deep in the groin area. The muscle or tendon itself can become inflamed causing groin pain and a feeling of tightness and swelling. Iliopsoas bursitis symptoms and iliopsoas tendon inflammation have similar symptoms and may be difficult to distinguish between the two. Symptoms include pain at the front of the hip which may radiate down to the knee or even into the buttocks. A hernia occurs when an internal part of the body (such as the intestine), pushes through a weakness in the overlying muscle wall, resulting in a soft lump. The groin pain can increase with exercise and even when coughing. The two most common types of hernia are inguinal hernia and femoral hernia. Gilmore’s Groin can also be known as a Sportsman’s Hernia, athletic pubalgia, slap shot gut, and a sports hernia. However, a true Gilmore’s Groin has nothing to do with a hernia. It occurs when excessive strain is placed on the groin and pelvic area, through kicking sports such as soccer and rugby. We talk to Jerry Gilmore himself who first identified this groin injury in 1980. Read more on Gilmore’s groin. Osteitis pubis, also known now as pubic bone stress injury, results in groin pain originating from the pubic bones at the front of the pelvis. The pain can come on gradually and will likely be felt when running or doing exercises like sit-ups. Read more on Osteitis pubis. A direct impact or trauma to the groin in men can be painful. Here we explain both scrotal contusion and spermatic cord torsion which are both consequences of direct trauma to the groin. A scrotal contusion is bleeding and bruising in the scrotum or testicles following a direct impact to the area from a ball or opponent. There will be severe pain on impact with swelling, tenderness, and nausea also being possible symptoms. This normally heals naturally without any complications or long term problems. Symptoms include severe pain at the time of impact or trauma. There may be swelling in the testicles along with bruising which may appear later. Nausea or feeling of sickness is likely and the area is likely to be tender for a few days. Treatment of a scrotal contusion is to rest and allow it to heal naturally. In the vast majority of cases, there are no side effects or long-term problems following such an injury. Painkillers and cold packs or baths may be recommended by a Doctor to ease the pain, bleeding, and swelling. If there are any unusual symptoms immediately or in the weeks following the injury, seek medical attention. Spermatic cord torsion is the twisting of the testicle resulting in reduced blood flow through the tissues which connects it to the abdomen. This can be a serious condition as a complete loss of blood flow would quite quickly result in the death of the testicle. It will cause severe pain and medical help will be needed immediately to prevent further damage and problems. Symptoms of spermatic cord torsion include sudden severe pain in the scrotum with swelling and tenderness. The athlete may have a feeling of heaviness in the testicle as well as experience nausea and vomiting. Causes may include abnormal mobility of the testicle, a direct impact can cause the testicle to rotate. Nearly all torsions occur in adolescent boys. Larger testicles are more likely to become twisted. Treatment Seek medical attention immediately. An ultrasound scan may be performed. An injected dye will be observed as it courses through the blood vessels to the testes. This will demonstrate if there is adequate blood supply to the area. If not, then surgery will be performed. Surgery should be within 24 hours to ensure that there is no long-lasting damage to the testicle. Surgery involves untwisting the cord and securing the testicle in place so that it cannot rotate again. The other testicle may also be fixed in place. Neal is a Sports Physiotherapist who has worked at the highest level in professional football including Premier League & England National Youth teams. Here he explains how to prevent groin strain injuries. Maria is a Chiropractor specializing in spinal adjustments, who has worked extensively with sports people. Dr. Maria Madge has trained in Sacro Occipital Technique (SOT) and other methods. David is a Consultant Surgeon specializing in groin surgery. Pioneer of the Lloyd release operation. David Lloyd talks about groin pain, a ‘sportsmans hernia’ and the Lloyd release surgery.